We're so excited for the Olympic Winter Games Pyeong Chang 2018! We both love the winter games! Ice skating was a huge part of 90's culture the Olympics always bring back those memories of coming together as a family and watching day after day for two weeks. 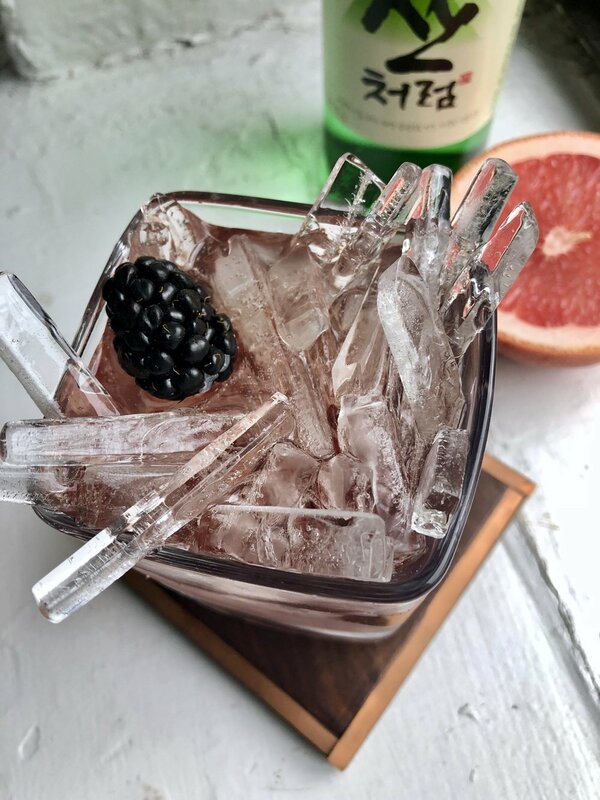 We're celebrating these games in a big way...well, not so big but with a little craft and a South Korean inspired cocktail! 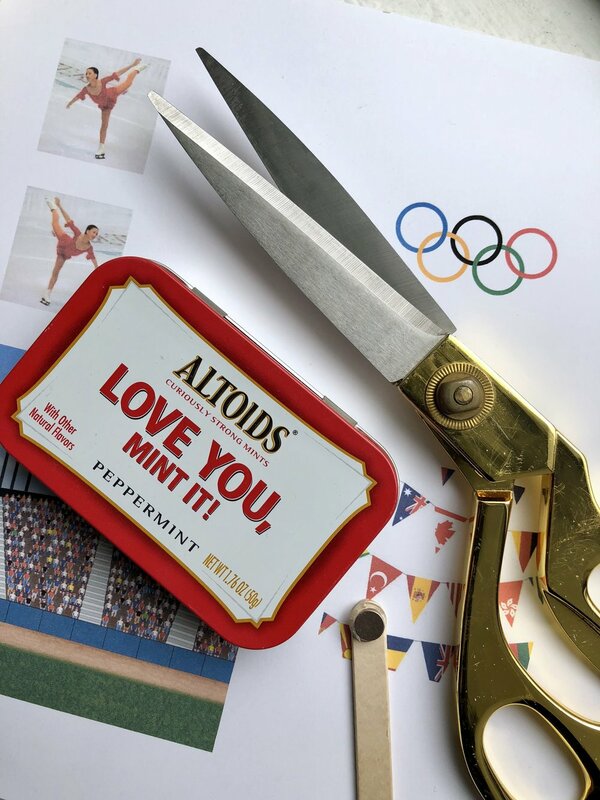 We turned a Altoid tin into an interactive figuring skating rink featuring the one and only Michelle Kwan!!! American hero, icon...should have won gold, but wears silver so well. 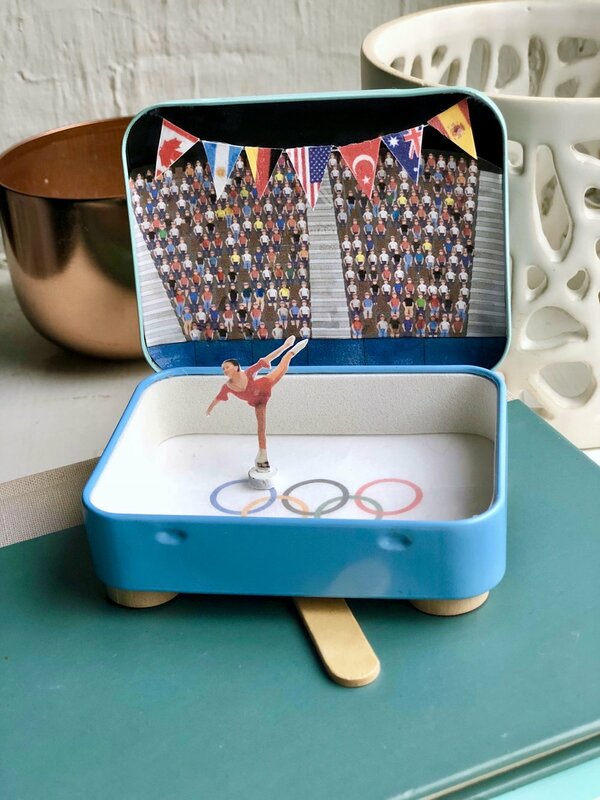 We found images online, printed them to size, cut them out and decorated the tin. Make your own with this template! We glued a small magnet to the bottom of Michelle's skates. She floats across the ice with the help of another magnet glued to a popsicle stick. "gold" cocktail ideas we decided to keep it local and try something from South Korea. Did you know South Koreans are huge drinkers? Soju is a hugely popular spirit in South Korea it is a clear light tasting spirit that's usually made out of rice or potatoes, it can be served neat or as a cocktail. 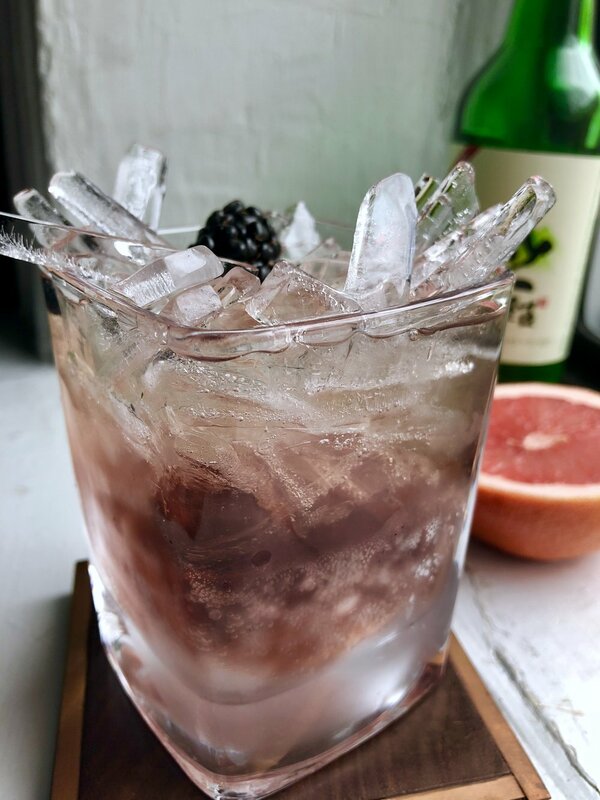 We started with freshly squeezed grapefruit juice, blackberry soda, topped it off with Soju and garnished it with a soju soaked blackberry. Can't wait to sip these while watching the opening ceremonies.